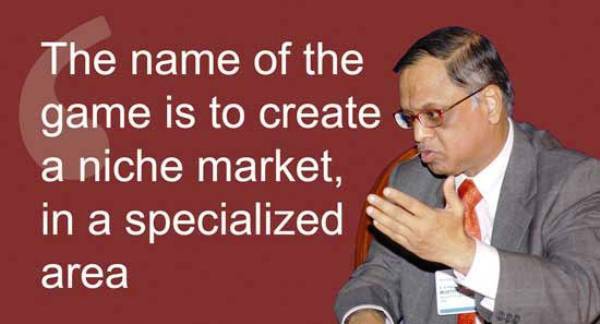 N R Narayana Murthy, who started his own venture capital and private equity firm Catamaran Ventures in 2010, contributing with money, mentorship, ideas and values. Murthy says he likes the current breed of startup entrepreneurs—people who are constantly innovating; who understand the importance of austerity; who realize that entrepreneurship is a marathon, and not a sprint. Catamaran Ventures’ capital is a 100% domestic in nature, and is not FDI- restricted. It is constantly looking for entrepreneurs and businesses that have the power to be scalable, yet “inspirational”. In other words, to alter people’s imaginations around what is possible in a business. Catamaran’s portfolio is a mixed bag with investments across majorly tech ventures in consumer goods, flower delivery, messaging app, insurance and payment firm among others. In July 2011, Catamaran Venture invested Rs. 26 cr. and picked up 13% stake in Bigshoebazaar India Pvt. Ltd., a 2 year old online seller of apparel, shoes and accessories. The company sells branded footwears to retailers through its online portal www.bigshoebazaar.net and caters to individual customers through www.Yebhi.com, a portal for shoe, apparel, bags, accessories and gift items. Catamaran has pumped money in Yebhi thrice between 2011 and 2013. Another investment by Catamaran was in a 7 year old payment solution startup Innoviti Payment Solutions (IPS) to enable the startup in expanding its real-time distribution of credit as well as for marketing, product development and scaling its overall payments infrastructure. In March 2011, the venture invested in Hector Beverages, the makers of Paperboat to enable Hector use the funds to add third manufacturing facility in Nanjangud near Mysuru. Wellspring Healthcare Pvt Ltd, which operates primary healthcare clinics under the brand Healthspring Community Medical Centres, raised its first round funding led by Catamaran ventures in June 2013. Healthspring, focuses on family medicine and primary healthcare besides providing routine pharmacy, radiology, pathology services and minor procedures under one roof. Catamaran bloomed a good deal for digital florist Bloom and Wild in July 2015. Bloom & Wild is a pioneer in letterbox flower deliver, developing hi-tech boxes to ensure that its blooms aren’t bashed during the delivery process, and that the packaging is breathable. In September 2015, Online insurance distribution company, Coverfox raised an undisclosed amount of funds from Catamaran to strengthen and boost its online insurance comparison and sales business. Coverfox started off by offering technological offerings to insurance companies and later pivoted to be an insurance company themselves. Bangaluru based Lookup managed series A funding from the venture in Oct last year. Lookup is a free and secure messaging app which helps consumers chat with local businesses or shops. No more calling, no more waiting on hold and no more running around stores for information. One can search and start chatting with a local business swiftly and seamlessly with Lookup. Murthy says, “Today’s entrepreneurs come with a lot of enthusiasm and energy and high aspirations and therefore, they need the complimentary wisdom of people who have had some experience in facing difficult situations, moral dilemmas and unforeseen circumstances. That is where, I suppose, venture capitalists have to go beyond pure money. And that I believe is perhaps what an institution like Catamaran would be best suited to do.” He is positive that given the quality of ideas coming from Indian entrepreneurs, proper implementation could see companies bigger than Infosys emerging from the Indian startup ecosystem. 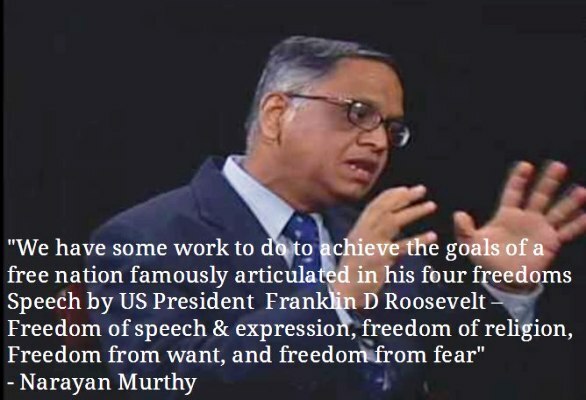 “Hard work, fairness, customer focus, transparency, integrity, leadership by example, excellence, and corporate governance are all a must and time-invariant attributes.” Murthy’s ideology echoes across his portfolio companies. “The value system in our organisation is a reflection of (Murthy’s) personality,” says Neeraj Kakkar, CEO of Hector Beverages, one of Murthy’s major investments. Whenever there is a hardship, we think about him, and think how he built (Infosys). With a streamlined vision and strong values rooted to the core, start-ups funded by the IT veteran are sure to make it big in the days ahead.